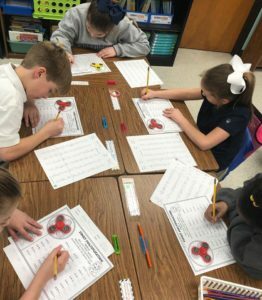 How about a little fidget spinner multiplication in third grade? Students spin a fidget spinner and then solve as many multiplication problems as they can before it stops spinning. Math and multiplication work is fun!